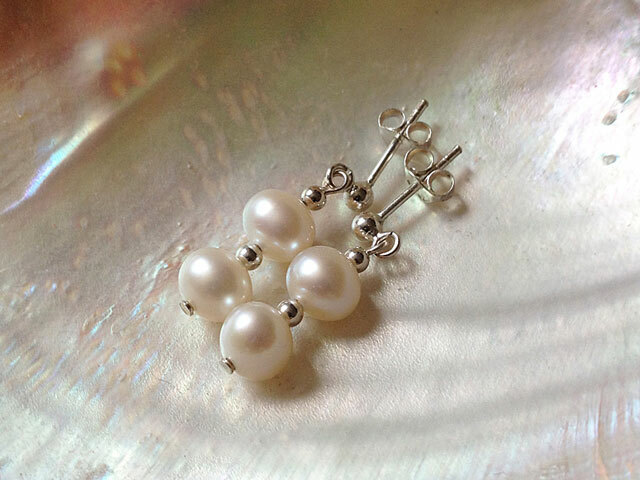 High grade, well matched white pearl earrings with tarnish resistant argentium silver beads on sterling silver posts. Co-ordinates beautifully with Kyrene pearl necklaces and pendants. Length: 15mm overall. 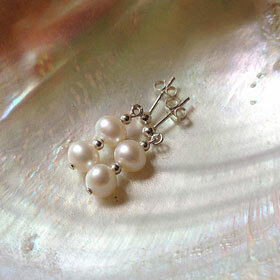 Pearl 6-7mm. These post earrings hang close by your earlobe and if in any doubt for a good fit, choose hooks. Options: contact sales@kyrenedesigns.com to swap to silver-plated clips, sterling or hypoallergenic hooks. (Hooks 25mm overall). View our materials page for more information on argentium silver.